Seeking low-maintenance plants to produce, sell, and/or place in the landscape? Buddleia ‘Pink Delight’ would make a fine candidate. In the greenhouse and nursery business, finding and holding on to good people is a never-ending chore. When the human resources manager is more important than the production manager, there are issues. The same issues occur with labor on the landscape and maintenance side. There are too many jobs, not enough people, and people who have no idea how to maintain plants to be at their best. Once on the job, the most well-grown plant will often fall apart if it requires a good deal of pruning, fertilizing, water, and staking. These issues all take time, and reasonably skilled employees. On the retail level, the top three boxes to be checked off in the consumer’s mind is low maintenance, deer proof, and native, usually in that order. Providing a list of low-maintenance plants makes sense for everyone, and surely will help reduce labor input and enhance sales. This column is mainly about herbaceous plants (perennials, annuals, ferns, grasses, etc). One of the main reasons for the surge of interest in shrubs is because their maintenance is minimal, compared to herbaceous material. At the nursery: One grows what one must, so staying away from plants that need a lot of attention is not an option. However, Rick Watson and Mary Hall from The Perennial Farm in Glen Arm, MD, pointed out an overlooked irony. It is often the plants that bloom the longest that need the most maintenance at the nursery. Such plants like Agastache, Coreopsis, Gaillardia, Nepeta, and Salvia may be a gardener’s dream but require constant deadheading and trimming at the grower level. Labor is needed to do these tasks. And we won’t even talk about the need for labor for most vines at the production and garden center levels. At the garden center: The breeders have been concentrating on short and compact for years, particularly with annuals. If annuals become any more short and compact, they will disappear altogether. The common maintenance issues at garden centers usually center around watering and overcrowding. For example, cell packs may be cheaper, but they dry out and can decline rapidly. The larger the container the plant is grown in, the less water it requires at retail. The more decline, the more need for workers to clean up those messes, and that is difficult enough at slow times. In the landscape: Here is where the rubber hits the road. There is no doubt that proper landscape practices, such as drip irrigation, planting in-ground containers rather than plastic, proper spacing, soil enhancement, and mulching reduce inputs in general, and in turn reduce labor. There is no excuse for not implementing these sound scientific practices. However, the other major way to reduce labor is to select lower maintenance plants. Sometimes the designer/landscape architect is not aware that plants in their design require additional maintenance (I know that is hard to believe, but it happens). Often decisions on plants come back to the nursery/greenhouse operator. So be it, let them know there are alternatives — because those plants will decline rapidly and the entire job will be affected. Among groundcovers, Carex would be considered an easy-to-maintain plant selection. Here are a few plants that are on most low-maintenance lists. These will vary depending on climate and soils but in general, using these types of plants will likely allow for a more efficient use of labor. Grasses: Pennisetum, Panicum, Calamagrostis, Muhlenbergia. (Conversely, Miscanthus and Phalaris ribbon grass are high maintenance). Groundcovers: Groundcovers as a rule are relatively low maintenance, but as with any group, some are easier to use than others. 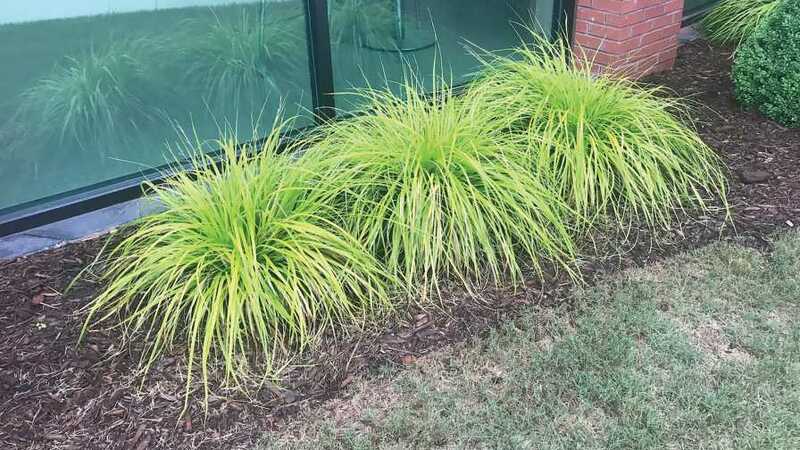 Carex in general have become a go-to group of easy-to-maintain plants. Liriope is almost indestructible and is gaining many more converts in the Midwest and mid-Atlantic states. Bergenia: As much as I find this plant boring as dirt, it requires no help where it grows well. Do not use in the South. 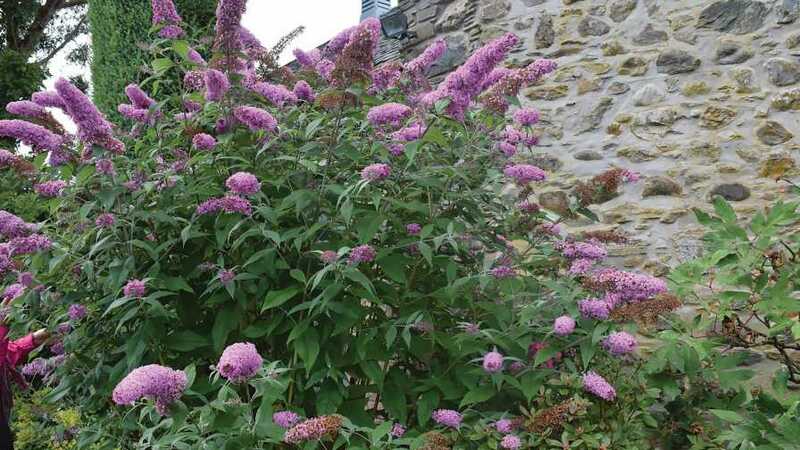 Buddleia: A cut-back perennial/shrub that is tough as nails. Epimedium: Needs to be used more in shade, once established, essentially no maintenance. Helleborus: This is as easy a plant as there is for the shaded landscape. The new hybrids show persistent foliage and all are deer proof. Hosta: This is about as high-maintenance a plant there is if deer are in the neighborhood. However, even if deer are not an issue, hostas are truly easy. Heuchera/Heucherella: They may not be as persistent as many other plants, but they require little grooming or dead-heading. There are many more low-maintenance plants to choose from, but my point is that plant selection is also a major factor in the utilization of labor. 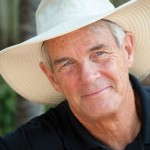 Allan Armitage was a professor in the Department of Horticulture at the University of Georgia for 30 years. He recently retired and remains an active consultant, author and lecturer. See all author stories here.